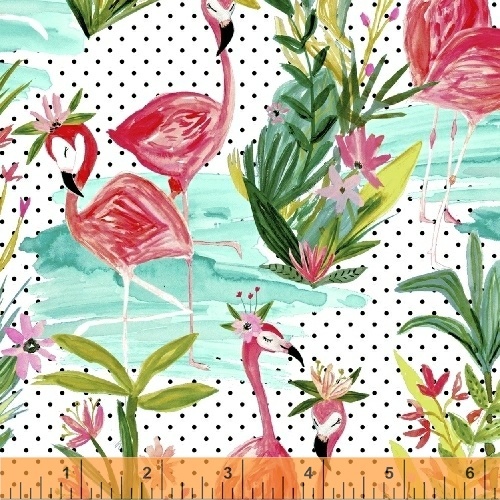 This new collection from Melissa Ybarra of Iza Pearl Design showcases her signature bright color palette with tossed pink flamingos both standing on their own and surrounded by lush greenery. Refreshing and accessible, it�s guaranteed to add a pop of color to any project. Examples include quilts, apparel and accessory items. Coordinates beautifully with her last collection Blush and Blooms, so don�t be afraid to mix and match to create the ultimate Spring look! 7 Skus. Delivery to stores August 2016.